If you drive west on Baltimore Pike, past Media, after about twenty minutes you will arrive at George Hill Correctional Facility. It is down the street from a State Farm Insurance building, just past a spa. It is also Pennsylvania’s only private, for-profit prison. George Hill was opened in 1998 and has 1,883 beds. The vast majority of George Hill’s prisoners are “detainees who have not yet been sentenced, many of whom are unable to make bail.” The prison is managed by GEO Group, a Florida-based company for privatized corrections. GEO Group ran the prison until 2009 when, under pressure from multiple lawsuits of corruption and sexual harassment by former inmates, GEO forfeited their contract. In 2016, GEO bought the prison again for $360 million. George Hill and other GEO-managed prisons have reported unusually high rates of suicide among inmates. Many of these deaths have been deemed the result of insufficient medication or attention to mental health. One former inmate of George Hill sued the prison, alleging that he was tortured and given a tuberculosis shot against a religious exemption. The GEO-managed facility outside Los Angeles was named the “deadliest ICE detention center” in 2017. The ACLU accused GEO of torturing inmates in an Arizona detention center. In 2016, GEO donated a quarter million dollars to a pro-Trump political action committee, despite laws against campaign donations from government contractors. Notably, GEO’s donation came one day after then-President Obama announced he would end for-profit prisons because of their unusually high rates of violence against prisoners. GEO Group is the country’s second-largest operator of for-profit prisons (after the Corrections Corporation of America), but the conditions at GEO Group are far from anomalous. Private prisons were established in 1852, by plantation owners needing a new source of labor to replace their freed slaves. Since then, the nation’s number of for-profit prisons has only increased; in fact, between 1990 and 2009, the number of inmates in private prisons went up 1600%. 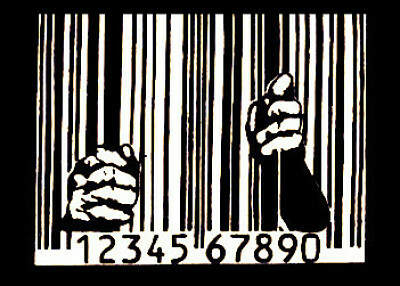 Currently, the country holds 133,000 inmates in for-profit prisons. These inmates are not evenly distributed: half of all detained immigrants are in for-profit prisons, and 89% of inmates in California’s for-profit prisons are young people of color. Perhaps most damningly, 65% of for-profit prisons have “lock-up quotas,” where taxpayers are charged for cells in private prisons that remain empty. At some of these prisons, the lock-up quota is 100%. Contrary to popular arguments, studies have shown that private prisons do not save states or taxpayers money through increased efficiency. Indeed, a study in Arizona showed that for-profit prisons were costing the state an additional $3.5 million per year. At the end of 2017, a group of Delaware County citizens formed the Delco Coalition for Prison Reform (Delco CPR). The organization’s overarching goal is to work towards criminal justice reform and ending mass incarceration; their first project is ending Delco’s for-profit prison. The group is led, in part, by former inmates at George Hill, who come together to share their experiences with the broader community at rallies and community meetings. Their action regarding George Hill is timely — GEO Group’s lease of the prison expires this year. If the County Council votes not to renew the lease, the prison will once again be publicly-run. As Swarthmore students, we have a huge amount of political power. Democrat Conor Lamb recently defeated Rick Saccone for a House seat, in a district that Trump won by 20 points, no less, by 641 votes. Closer to home, Leanne Krueger-Braneky won her seat in the Pennsylvania State House by 240 votes. Colleen Guiney, head of the Swarthmore Democratic Party, attributes the victories of Brian Zidek and Kevin Madden in November’s race for County Council in large part to the registration and mobilization of Swarthmore students. Our votes can change the politics of this district, meaning that if we refuse to vote for candidates who support for-profit prisons, who are willing to renew GEO Group’s contract, we can reshape the prison system in Delaware County. We can call on the administration to divest Swarthmore’s endowment from groups that manage, or contribute to the management of, for-profit prisons. We can do our part for the broader community. Our stay in Delaware County may be brief, but that doesn’t mean our impact has to be, or that we have to act like vacationers, passing by without any engagement in our community; in fact, it is our duty to use the advantages we have to do otherwise. Featured image courtesy of The Borgen Project. Excellent article Abby! Thanks for your support for this important initiative. Abby: Your article is very interesting. Thanks so much for the information and for encouraging the help of the College community to assist in ending our for-profit prison in Delaware County. On a related topic, here is a fascinating (and harrowing) article by a journalist who spent four months undercover as a guard in a private prison in Louisiana.